GWM also released two official pictures of the off-road version and said that this all new off-road bakkie will be equipped as standard equipment with off-road specific configurations such as a front winch, three differential-locks (front, middle, and back) as well as a snorkel, parts and features that are normally aftermarket accessories with most brands. 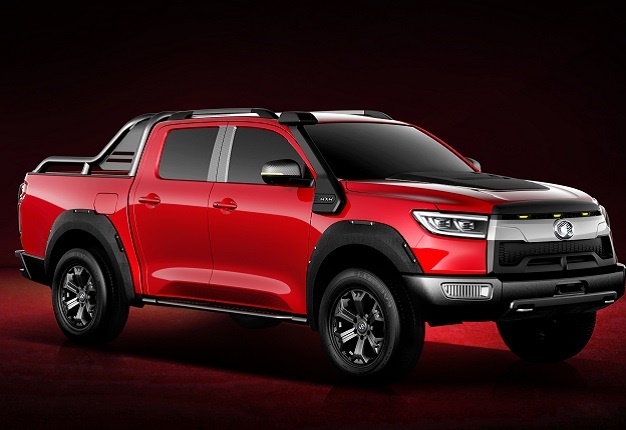 According to the official pictures, this off-road bakkie adopts a new aggressive design. The new vehicle is equipped with a matte black off-road kit which includes a blackened grille, wheel arches, snorkel and other components to add to its aesthetic appeal. The most eye-catching feature is the decorative panel on top of the hood which looks like the aerodynamic ducts commonly seen in American muscle cars and greatly enhances the performance stance of the nose of the truck. To further highlight performance, the new vehicle adopts a black honeycombed grille, while a thick grey plaque goes across the entire grille with blackened LED headlights on both sides of the grille. The taillights also adopt full LED lights, finishing off the rear to match the front end of the truck. 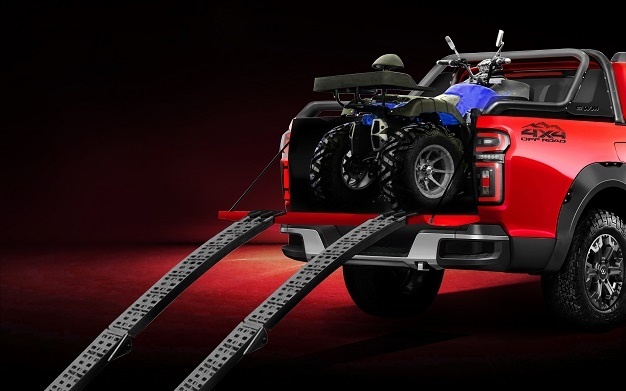 A large blackened panel is added to the tail door panel and as seen from the image, the cargo body is equipped with ramp ladder slot, so that the ladder can be easily attached to the tailgate to load and off load cross-country motorcycles and other leisure vehicles.